Do you need to repair or upgrade your laptop? We welcome you to Creative IT for excellent Laptop Repair Services at rock bottom prices. Creative IT is a leading information technology service provider in London, offering repairing and replacing services for of all makes and models of laptops available in the market. Let us know what your requirements are. Creative IT employs a team of competent laptop service engineers who are Microsoft Certified Professionals (MCPs), Microsoft Certified System Engineers (MCSEs) and A+ certified laptop technicians with years of experience to their credit in diverse computer-related fields. At Creative IT, we offer repairing services for laptop parts which include batteries, hard drives, AC adapters, keyboards, LCD displays, LCD inverters, DVD/CDRW combo drives, memory upgrades, floppy drives, USB cards, network interface cards, power cords, processors (CPUs), system boards, power supply and various other components. Our Laptop Repair Services are of great demand in offices, hotels, institutions, hospitals, business organizations, homes and stores throughout London. If you need our service, just call us. Our in-house team of certified technicians can provide on-site/off-site Laptop Repair Services. If you are located far away from London, you can ship your laptop to our diagnostic workstation with a brief description of the problem/fault you are facing. We will return the repaired laptop within a short duration of time. Get our benefits at a low cost! 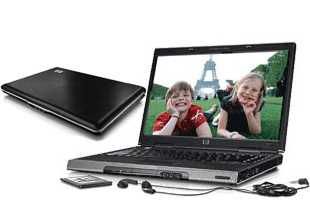 Creative IT is the most powerful and best agency in the industry for repairing your laptops in London, UK. While servicing your system, we provide new, used or refurbished parts and products. Creative IT provides professional and superior service, combined with a friendly customer support. You can browse our online site to learn more about our Laptop Repair Services. If you are interested in any of our services, you can call us at 020 7237 6805 or send us an email at info@creativeit.tv.